Hi everyone, my name is Jacob, I just recently decided to get a VTR. It's my first sport bike/sport touring bike, but not my first 1000; I had a DL1000 before this and in some ways the motor is very similar and at the same time totally different. I hope to maybe see some of you guys riding around! Cheers! Post up some pics and tell us about the bike. Welcome aboard. You will find a lot of helpful guys on here. What year is the bike? Where are you located.? Thanks guys! Happy to be here! 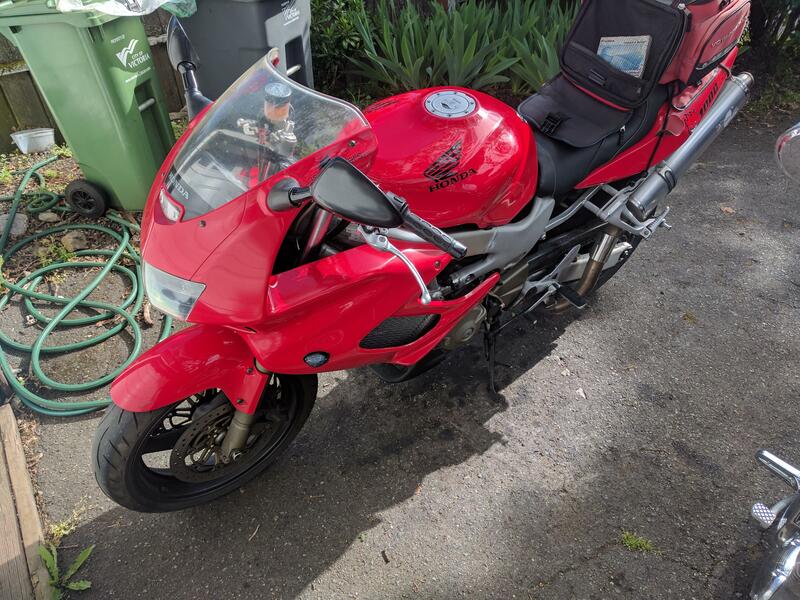 I'm located in good ole' Victoria BC, the bike is a 02, however it's an American bike....so it's all weird and new too me (trying to convert from MPH to KMPH). The previous owner put these stupid flush mounted turn signals on the front and these tiny things on the back so I plan to put either stock ones back on the front and LED's on the back or just do front and back LED's. Aw man everyone know MPH is WAY faster than KPH. Yeah those are dinky sigs. ​​​​​​Hahahaha yeah, my problem is I don't want a ticket. This is my daily ride/drive and I plan to do some trips with this bike. ​​​​​Here is some more information on the bike; this bike has aftermarket forks(or springs I'm not sure), however the seals are weeping, and a FOX racing shock. So maybe just swap the gauges? You can probably fix the fork seals with a seal doctor tool. I have fixed many forks with one. 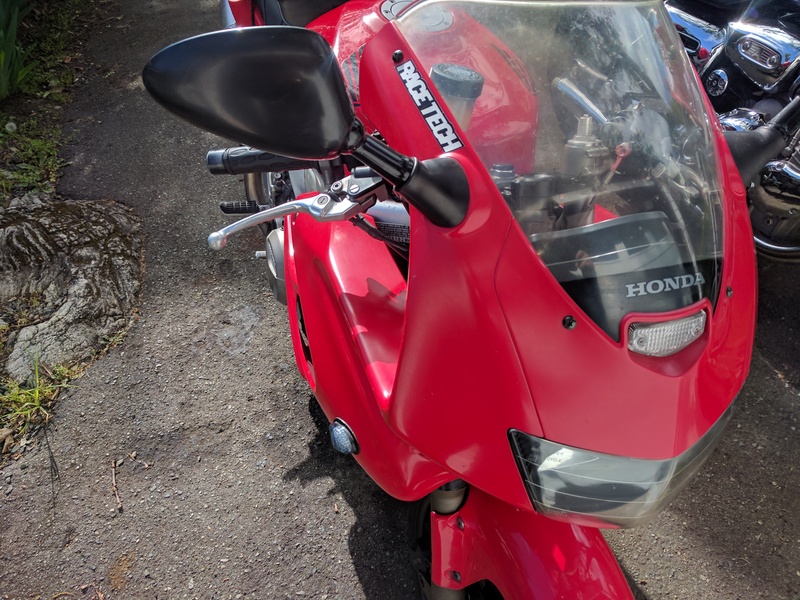 VFR bars will make the position higher and are cheap on ebay. Isnt the speedo marked in both increments? The speedo does have MPH and KMPH, but I can. Barely read the KMPH. With certain cops in the city I'm in I would rather not take a chance, I'll probably end up swapping then over. As for the forks, the PO told me that the forks had been rebuilt 2 years ago so I may just end replacing the seals. I work at a motorcycle dealership so I have an advantage that I get certain things at a better price.